At PSA, we believe our integrators are the most innovative, advanced and effective in the electronic security industry. To recognize these exceptional qualities, we bring PSA integrators to the stage each month and introduce them to the PSA community. Michael Ruddo brings Integrated Security Technologies (IST) clients a unique combination of industrial security, procurement and contract negotiation expertise developed over the course of his 30+ years of industry experience designing, engineering and implementing security management systems. He is responsible for managing the strategic vision and the brand of the company, including developing and building relationships with the industry’s leading manufacturers of security and IT products, ensuring IST clients have access to the most advanced solutions and services to meet their needs at preferred pricing levels. He is also responsible for negotiation and management of our various contract vehicles. How long has IST been in business and where are you located? IST was founded in Herndon, VA in 1997 and with additional offices in both Virginia Beach and Roanoke. We have representatives located throughout the Mid-Atlantic Region and provide an expanded Mid-Atlantic coverage which includes Virginia (northern and southern), Washington, DC, Maryland, Delaware, West Virginia, as well as partial coverage in Pennsylvania, New Jersey and North Carolina. To date, what has been the most unique or interesting job that you would be willing to share? We have been the long-time security integrator for a large public school system. As such, we are always looking for ways to leverage technology to improve the overall safety and security of their facilities. We recently completed a project in which we interfaced (federated) the school system’s unified security platform with that of the city government as they are both using the same platform. The primary objective was to enable the police department (PD) to more efficiently manage an incident when there is a call for service at a school or administrative location. This goal was achieved in two ways; first, the solution allows the 911 dispatch center and police officers on scene to view video inside and on the perimeter of the school instantaneously. Second, the PD’s existing access control credentials were integrated to the school’s system to allow access to school properties without requiring the issuance of a separate credential or someone from the school system to provide access during an incident. Throughout the deployment of this solution, we worked very closely with both entities to understand the standard operating procedures, define processes for implementation, and ensure that the needs of both were considered during the design. Finally, this project included the deployment of analytic software that enables the PD to analyze hours of video in a matter of minutes. This tool enables the PD to search using one or more parameters (color, object size, direction, etc.) to expedite investigations. Our technical staff is the key to the organic growth we’ve experienced over the last ten (10) years as related to maintaining our quality and our reputation in this vertical market as well as all of the others. What vertical market or application does IST focus on? Education, both Higher Ed and K-12. How did IST get started in the education market? Many years ago, the majority of our business was with the federal government, a space we understand extremely well. As we started to diversify our business in 2005, we found that the educational space aligned very well with our federal government experience. In most cases, to successfully deploy an integrated solution in the educational environment requires a collaborative effort with various departments. The federal government operates in a very similar manner. Being able to be a trusted advisor between these various departments is critical. All of the stakeholder interests’ need to be maintained without sacrificing the ultimate goal of keeping the school safe for their students. Providing security while still maintaining an open learning environment can be tricky and having all stakeholders on the same page is absolutely key. What are some of the biggest challenges that integrators are facing in the educational market? The biggest challenge we see is the lack of qualified field technical resources. Our technical staff is the key to the organic growth we’ve experienced over the last ten (10) years as related to maintaining our quality and our reputation in this vertical market as well as all of the others. Funding is always a key issue as well in the education vertical market but there are numerous federal and state grant programs available if the institution is versed at applying for them. As a trusted advisor, we assist a number of our clients with their grant submissions which helps them obtain funding outside of their normal budgeted capital and operational annual expenditures. In addition to education, what other types of clients do you have? We have a very comprehensive list of verticals that we are engaged with but we excel in the federal government, education (higher ed and K-12), and healthcare space. What makes IST stand out in the physical security industry? Our dedication to quality and focus to current and potential clients in developing a long-term relationship make up our vision. The IST S.H.I.E.L.D support program is dedicated to supporting our clientele for the lifetime of their solution and our ISO9001:2015 Registration without Restrictions reflects our dedication to quality. In our opinion, the integration companies that provide exemplary customer service and the technical aptitude necessary to guide their clients through their ever changing security requirements are the ones that will succeed in today’s environment. A knowledgeable and experienced team is a prerequisite to providing this level of support in meeting client requirements. The security industry is an exciting industry in which to develop a career, especially for individuals that want to get engaged and see the impact they have on the country and world given the current environment in which we live and work. Specifically working with schools districts and higher-ed institutions in the task of keeping students safe is extremely rewarding. Is there anything else you would like the PSA Community to know about you or IST? IST has been an ISO Certified company with the International Standards Organization since 2004. 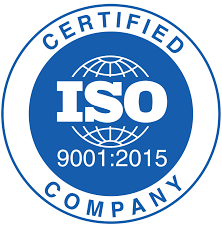 ISO 9001 is a group of recognized standards that define the parameters for a Quality Management System that helps an organization meet the requirements of its customers and other stakeholders affected by its work. ISO 9001 is based on the idea of continual improvement in processes and procedures through internal management reviews audits, and annual external audits to maintain registration. IST has maintained the certification, without exception, for the last 13 years and just recently moved to the new 9001:2015 standard, which allows us to craft more electronic processes helping streamline training and installation, and enhances our offerings in the Cyber Security and Facility Security Officer arenas. The leadership of the company made the decision to become ISO Certified for two important reasons. First, just going through the registration process helped to fine tune our operating procedures and pointed out areas where we needed to improve processes. Secondly, being certified shows our employees and clients that we are dedicated to the engineering process and to the highest level of installation practices. The results of this rarely possessed certification in the security industry are engineering-driven projects that satisfy every aspect of the customers’ requirements with employees that routinely go well beyond the typical in customer service and satisfaction.